BLOOMFIELD - The few, the proud ... the forgotten? A month ago the Department of Navajo Veterans Affairs invited U.S. Marine Corps veteran Cpl. David W. Tsosie, 78, a Navajo Code Talker, to receive a silver medal at a special ceremony Saturday in Window Rock, Ariz.
More than 350 Navajo Code Talkers are expected to receive silver medals at the ceremony, which begins at 10 a.m. in Nakai Hall. This week, however, Tsosie was uninvited. The veterans office said Tsosie didn't qualify for the medal because his official military record lists him as a mechanic. Because the work of the Code Talkers was a secret operation, many were given military occupational specialities such as mechanic or other job titles. Tsosie was assigned to Headquarters Company, 8th Marine, 2nd Battalion, 2nd Marine Division. There were two Code Talkers assigned to the headquarters company, Tsosie said. He was one of them. From boot camp in San Diego the Marines were shipped to the South Pacific in 1943. "We went to New Zealand," Tsosie said. "The first night there we had dinner. The next morning we were shipped to the islands to fight the Japanese." It was there that he served as a Code Talker with the 2nd Marine Division. During numerous battles Tsosie was ordered to transmit messages using the Navajo language to Code Talkers in other units. "The Japanese could never figure out what we were saying, whether we used the code or just spoke in Navajo," Tsosie said. 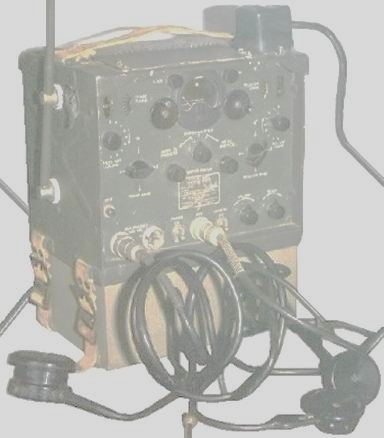 Tsosie carried a radio on his back during the Battle of Saipan in June, 1944. The 67,000-strong U.S. invasion force established beachheads before advancing into the island's mountains against an entrenched Japanese force. They met heavy resistance. Marines call Saipan "Death Valley," because they suffered enormous casualties. More than 24,000 U.S. Marines and soldiers died during the capture of the islands of Saipan, Tinian and Guam. Japanese snipers, some perched in the top of palm trees, were known to specifically target radio operators in order to stop a unit's communications. Tsosie said a Marine standing next to him saw a sniper in a palm tree and shot him. Tsosie survived the war. Fifty eight years later, the Shiprock native is a resident at the Bloomfield Nursing and Rehabilitation Center. He sat quietly in his wheelchair Wednesday as staff members tried to tell him he wasn't being awarded the silver medal after all. Center staffers had planned to drive him to the ceremony. "I'm upset over this entire situation. We received a letter (dated Oct. 26) from the Navajo Department of Veterans Affairs," said Dawn Callen, an administrator at the center. "He was invited to attend, to receive his medal. Lorraine Bigman (with the Navajo Veterans Affairs) called at 4 p.m., Monday, and said he was no longer invited to get a silver medal because his service could not be verified." Callen said she called everybody that could possibly help, including several elected officials. Since the news arrived the week of Thanksgiving, just days before the holiday and the ceremony, getting help in time was going to be difficult. Glen Lovland, a spokesman for Rep. Tom Udall in Washington, said, "I understand the VA needs to verify these things, but they should not have done this on such short notice." Callen said that unless the orders change today, Tsosie will not attend the ceremony. "You can't give something and take it back," said Prisilla Tucker, director of social services at the center. "We will not be taking him Saturday because all the men will be honored and he will be sitting in the audience." She added that the situation is a black eye for both the U.S. government and the Navajo Nation. "If they call Friday and say we're approved - we're going," she said. Nonnie Gorman, Navajo Human Resources Division Code Talker special coordinator in Window Rock, said that there are numerous Navajo veterans whose service as Code Talkers is not confirmed. in any printed, digital, or electronic medium without the written consent of the author. Designed for the Exclusive Use of SENAA International and its divisions.